Iran's deputy foreign minister says dismissal of Tillerson shows that Washington is set on quitting the nuclear deal. The dismissal of U.S. Secretary of State Rex Tillerson shows that Washington is set on quitting the nuclear deal between Tehran and world powers, Iran's deputy foreign minister said Wednesday, according to AFP. "The United States is determined to leave the nuclear deal, and changes at the State Department were made with that goal in mind -- or at least it was one of the reasons," Deputy Foreign Minister Abbas Araqchi said in comments carried by Iranian state media. 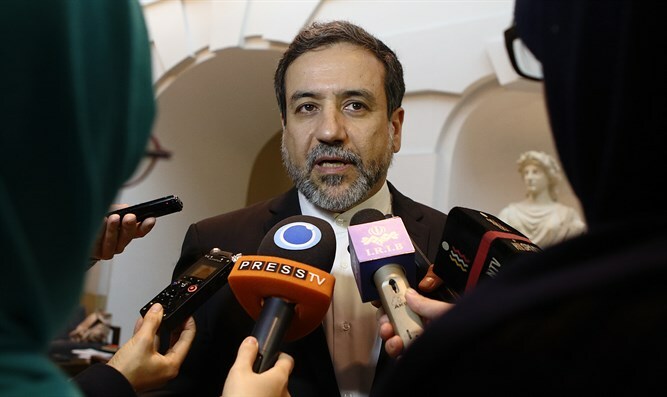 "If the U.S. quits the nuclear deal, we will also quit it," Araqchi stressed, adding, "We have told the Europeans that if they can't keep the U.S. in the deal, Iran will also leave it." President Donald Trump announced Tillerson's departure in a tweet on Tuesday, saying he would be replaced by CIA chief Mike Pompeo. Trump later stated that the reason behind the dismissal of Tillerson was his support for the 2015 nuclear deal signed between Iran and world powers. Pompeo’s views on the nuclear deal are much closer to those of Trump’s, as he has spoken out against the agreement both as a senator as well as during his time as CIA chief. Trump has repeatedly slammed the 2015 nuclear deal, under which Iran agreed to freeze its nuclear program in return for the lifting of crippling international sanctions. The president recently decided to extend a waiver on nuclear sanctions that were imposed on Iran but made clear it would be the last time he will do so and ordered European allies and Congress to work with him to fix “the disastrous flaws” in the 2015 deal or Washington would withdraw. Tehran has repeatedly ruled out changing a single comma of the text.